The Victorian Data Sharing Bill 2017 had its second reading in the Victorian parliament today. The Government collects vast quantities of data – about education, health, communities, business, employment, infrastructure and the environment. However, traditionally government data has been held in agency silos. The Bill aims to break down these agency silos within government and ensure agencies can share data and information across the whole-of-government, in order to deliver better services. Enabling data to be shared and used across government is expected to provide insights about what works and why, and ensure informed policy decisions in areas ranging from family violence to health. This Bill provides a clear legal framework that allows for government data to be shared for policy making, service planning and design, enabling government agencies to work together to tackle key priorities. The Labor Government appointed Victoria’s first Chief Data Officer within the Victorian Centre for Data Insights earlier this year, to transform how the Victorian Government uses data to strengthen policy making. This Bill supports the new Officer by establishing into law the statutory position, and its powers and functions. It seeks to remove barriers that impede the sharing of identifiable data with the Chief Data Officer or with data analytics bodies, and to facilitate the sharing of data across the public sector. It sets out the mechanism by which the Chief Data Officer can make a formal request to a data sharing body or a designated body for data held by the body or for information about their data holdings. And it provides that a data sharing body that receives a request must respond within 10 business days (or a longer period as agreed by the Chief Data Officer). The data sharing body&apos;s response must either be to provide the data, or to provide reasons (in accordance with clause 14) for why the data sharing body will not be providing some or all of the data. The Bill also includes strong safeguards and oversight to protect personal data and information, including independent oversight by Victoria’s privacy regulators, mandatory reporting of any potential breaches, and new offences for unauthorised access, use or disclosure. It requires that the Chief Data Officer provide a report to the Information Commissioner at least every 12 months on the operation of the Centre in relation to the use of personal information (other than health information) including the sharing of personal information, projects which have involved the use of personal information and the Centre&apos;s compliance with the Privacy and Data Protection Act 2004 and similarly to provide to a report to the Health Complaints Commissioner about the Centre&apos;s compliance with the Health Records Act 2001. This Bill follows other work that the Victorian Government is doing to modernise Victoria’s data and information sharing regime. This includes legislation to protect women affected by family violence by better sharing information and prioritising victim survivors over their perpetrators and the development of a Central Information Point to facilitate information sharing across agencies involved in protecting women from family violence. The Victorian Government also created the Office of Victorian Information Commissioner (OVIC), bringing together freedom of information with data protection and privacy, to provide independent oversight across those closely-related fields. The OVIC commenced operating on 1 September 2017 and comprises the functions that previously sat with the Offices of the Freedom of Information Commissioner and the Commissioner for Privacy and Data Protection. At the national level in Australia, the Productivity Commission’s Public Inquiry into Data Availability and Use, identified a number of draft, nationally-consistent, recommendations for improving the availability and use of public and private sector data. A Taskforce has been established in the Department of the Prime Minister and Cabinet to lead the Government response to the inquiry. 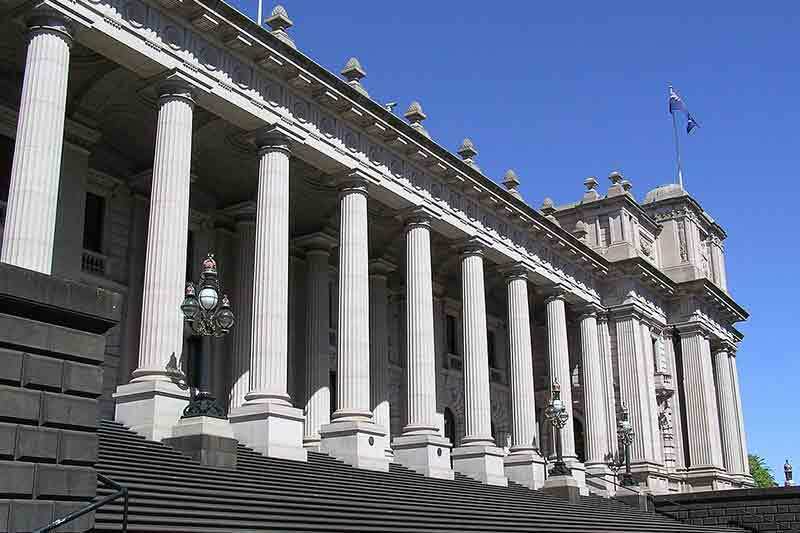 The federal government has launched an initiative called the Data Integration Partnership for Australia (DIPA) to enable faster, cheaper and more secure integration of data to support better decisions by policy makers. A Data Taskforce led by the Australian Computer Society (ACS), and the NSW Data Analytics Centre (DAC) is working to address the overarching challenge of developing privacy preserving frameworks which support automated data sharing to facilitate smart services creation and deployment. The Western Australian Government conducted a review of the state’s data linkage capabilities. The review released last week provided recommendations to deliver a whole-of-government data linkage model.